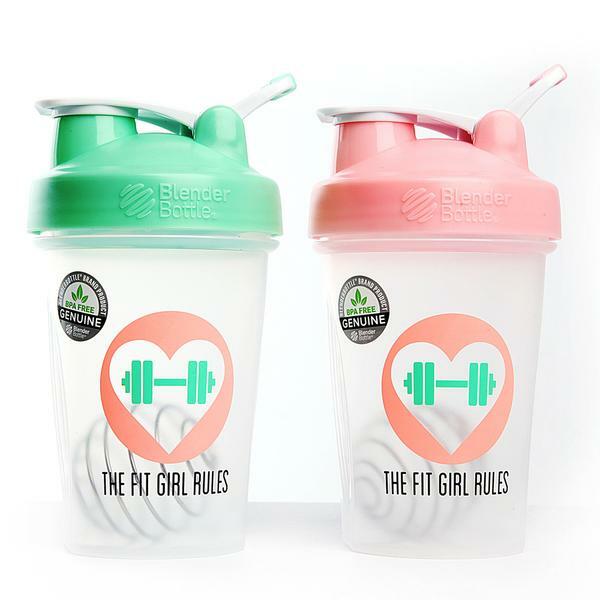 The Fit Girl Rules® shakers are genuine BlenderBottle®, who pride themselves on being the #1 best-selling shaker in the market. The patented BlenderBall® wire whisk whips around inside the bottle as you shake, mixing even the thickest ingredients with ease. These are perfect for mixing your protein shakes, storing water or other drinks and may even be used for keeping snacks such as fruit! The colours set these apart from any other shaker on the market making them your new go to shaker! Shake it up Fit Girl!